In today’s modern world everyone needs to have a laptop. Owning a portable laptop lets you do tons of things from browsing the Internet, connecting with other through social media, doing academic or work-related projects, watching movies and many more. Fortunately, it doesn’t cost a fortune to own a basic laptop. Heck, if you have $300 on your hand right now, we can help you get a laptop that best suits your need. While they may not be as outstanding as their more expensive counterpart, we can assure you that the laptops on this list are quite dependable when doing basic computing tasks. Some can even play some game titles that don’t require superior graphics cards. The Acer Aspire 1 may look like your typical laptop on the outside, but appearances can often be deceiving. While it may have a lackluster appearance the true gem lies in its functionality and portability. On the inside, it packs a decent Intel Celeron N3450 quad-core CPU which can run up to 1.1 GHz and has onboard a 4GB of memory. Moreover, its 4810 mAh battery can last up to 9 hours and is perfect for doing computer related work continuously. For viewing pleasure you have a 1920×1080 display spread over a 14-inch screen. It also has a front camera with a 640×480 resolution perfect for video calls. WiFi is also quite fast thanks to the latest 802.11 ac connectivity which can easily handle 30Mbps plus of Internet speeds. This laptop is also quite portable and weighs only 3.64 pounds. 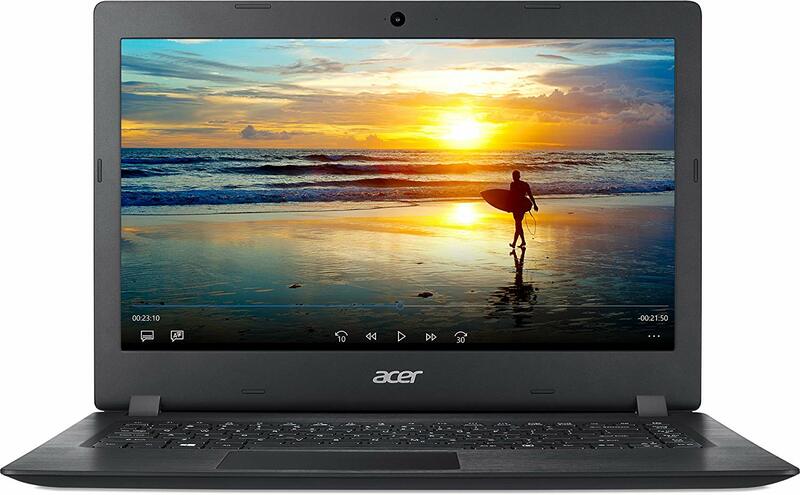 The Aspire is also the most affordable laptops under the Acer brand and has a price of just above $200. On the flipside, the Aspire 1 has a very low memory space of just 32GB. That is to say, you can’t store a lot of large files and programs in it. One solution to counter this disadvantage is by having an external memory drive, an SD card or even a flash drive. While the screen is quite large, the color quality is a bit poor compared to its pricier competitors. Often, you have to find the perfect viewing angle or experiment on the brightness until you get it right. Overall, the Acer Aspire 1 is a nifty piece of equipment. It functions quite well for a notebook, especially if you are browsing the Internet. While the memory storage and the processor speed were quite a bummer, there are lots of bright spots on this computer as well. If you want a laptop without having to burn your wallet, this one’s definitely on top of the list. Classy is the best word to describe the ASUS Vivobook. With its premium-looking chassis and boasting perhaps the best performances in its class, it deserves to be on this list. Buyers who are looking for an inexpensive laptop with some computing muscle must consider this laptop. A full HD display spread over 15.6-inches screen with a 1920×1080 resolution already speaks a lot about the Vivobook. Throw in an Intel Celeron Dual-Core Processor which can run up to 2.4 GHz and we’re talking business. For the clincher, it also has a 4GB RAM and a decent 64 GB storage. If that doesn’t make you interested in this thing, we don’t know what will. Despite all those heavy hitting components, this laptop is still portable and weighs only 3.3 pounds. Viewing pleasure is also guaranteed thanks to its high resolution and clear sounding speakers. It also has an integrated HD webcam, in case you want to make a video call. Its keyboards are also not cluttered, which is great for typing. Battery life stands at 14 hours, according to its manufacturer. 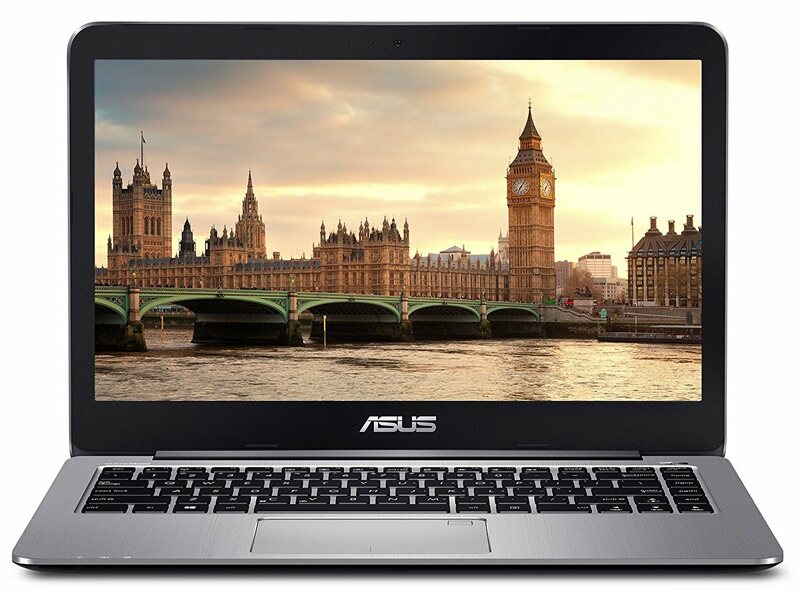 There are very few misses with the Asus VivoBook and many of them you could easily live with. It’s a bit bulkier than the others on the list. The touchpad is slippery which messes up your clicking accuracy. The webcam also has a low resolution, which is not much of an issue unless you constantly use Skype. Perhaps the only true issue here is the VivoBook’s price which is on the ceiling of our $300 cap. However, if you think about it that few extra dollars are worth all of the extra computing power this product have. You’ll definitely consider buying the VivoBook for many reasons such as having a stylish look, great display, and an even better performance. It does have minor issues but all of that is negligible with just how well-built this thing is. Chromebooks are quite popular as a grade schooler’s laptop. Because of the demand, many PC and laptop manufacturers came up with their own version of this basic portable computer and Dell is no exception. But can a laptop meant for students, be just as good for adults? Much like every other product in its class, the Dell Chromebook 3180 is a budget-friendly unit. It also has the usual specs such as an Intel Celeron N3060 processor, 32GB worth of hard drive and a slightly better 4GB RAM. The main difference, however, its operating system is Google Chrome which makes it less vulnerable to malware. The design is very basic, but you can rest assure that the product is built tough and MIL-STD tests could easily prove that. It’s so durable that it can even survive a 4-foot drop into concrete! The keyboard is snappy and the touchpad got the sensitivity just right. Battery life is also acceptable at 8 hours of moderate usage. Moreover, this laptop doesn’t heat up as fast and can maintain comfortable temperature even for long periods of time. While streaming videos are quite fast in this laptop, it doesn’t deliver an enjoyable color quality. The sound volume from the built-in audio is also too low. Add to that the 11-inch screen size and you can tell this is not the best device to watch movies. The storage space is also too small that you can only install a few programs and files. Many of the apps that are exclusive to the Google Chrome platform can only be accessed if you are online. The webcam is also grainy and dark which is to say you won’t be using this laptop for video conferencing. 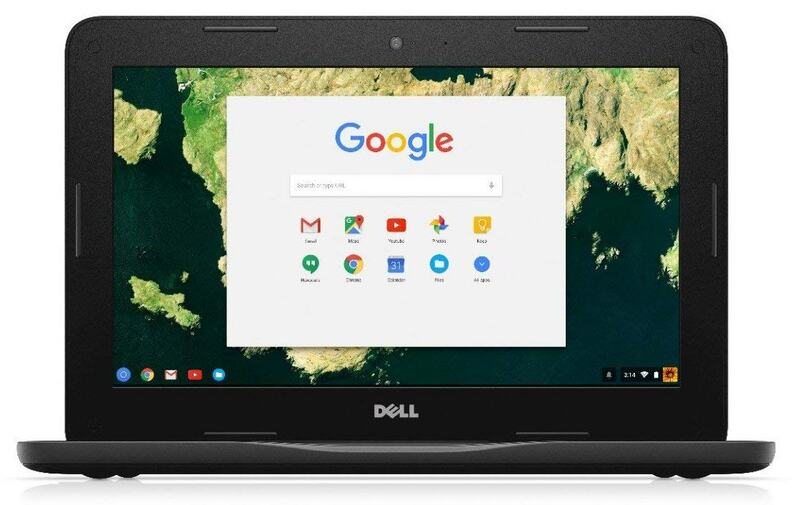 Overall, the Dell Chromebook 3180 is a laptop that can be used not only by students but also by not so picky adults. It’s a great laptop you can carry as you travel because of its portability and durability. At a price point of $200, it’s still a great bargain. How small can a laptop go? Perhaps the Fusion 5 can answer that given that this is probably the smallest notebook we have come around. It’s also one of the cheapest out there in the market and the specs aren’t too shabby as well. The Fusion 5 is very portable and only weighs about 2 pounds. 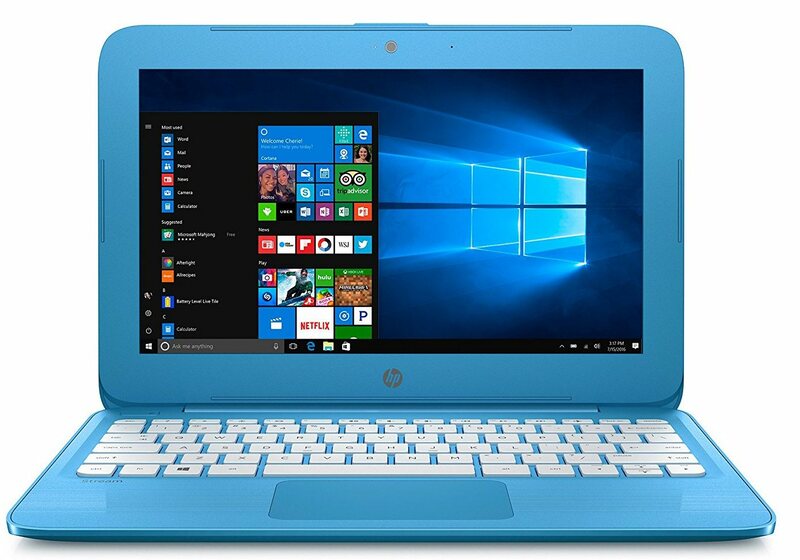 It’s equipped with an Intel Bay Trail Quad-Core processor and has a 2GB RAM. Storage space stands at 32 GB SSD with an option expanding it up to 128GB. Screen size is only at 10.6-inches but has an IPS full HD 1920×1080 resolution. It also has a 5,800 mAh battery which allows 6-8 hours of continuous use. Furthermore, you have all the connectivity ports such as mini HDMI, USB 3.0 port SD card, and an 802.11 WiFi. The touchpad is also quite good at its job of getting accurate clicks. Build quality is okay and definitely over-delivers in terms of its price tag. At just under $200, the Fusion 5 is a great deal if you can overlook some of its issues. The built-in speakers have a sub-par sound quality and sometimes emit a white noise when playing songs or videos. Keyboards are also stuck too close to one another that it’s not good if you want to type fast. Additionally, the charger’s cord is too short that you need to be close to an electric outlet if you want to use the laptop while it’s charging. There are also some issues with the quality and performance of some components particularly the chassis. 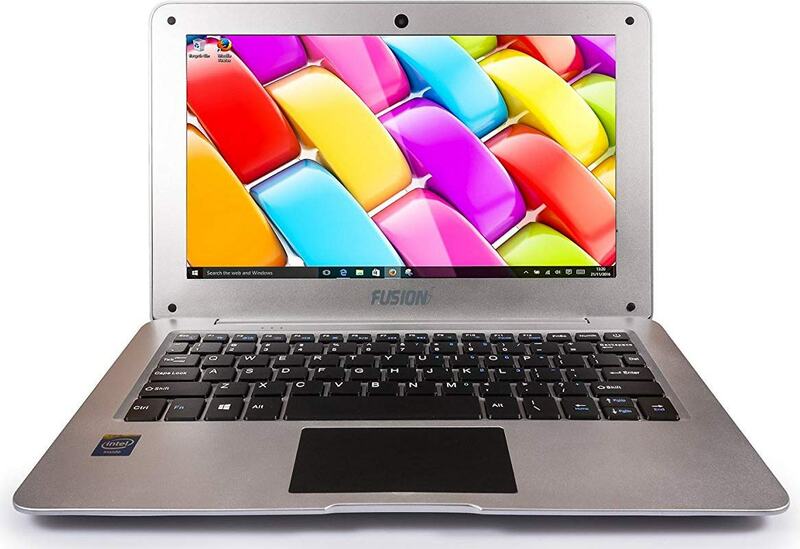 The Fusion 5 is a no-frills laptop that does the basic computing task. You may get hooked by its incredibly low price, but please also consider if you are okay with some of the qualities you have to sacrifice. If you don’t mind the small screen size and cluttered keyboard, then it’s your best bet of finding a decent, easy to carry the laptop. It’s cute with a candy-colored exterior, but is the HP Stream just as attractive to adults as it is for kids? The vibrant colors and cartoonish design of the HP Stream make it stand out. However, liking it or not is more of a personal choice for the user. It does, however, pack a 1.6 GHz Intel Celeron processor with 4GB of RAM and 32GB of hard drive memory. WiFi comes with the updated 802.11ac and has a Bluetooth 4.0. The Stream also has an 11.6-inch screen with 1366×768 resolution. Not the best in the bunch, but the quality is still tolerable. The audio is surprisingly good and loud enough for you to hear even a few meters away. Keys are large and well-spaced which is good for typing. The touchpad is responsive and quite accurate as well. The quality of the screen is not cutting it for a great viewing experience. If you love old washed up movies, then that’s almost the quality you will get. We are of course a bit exaggerating, but video quality really needs some improvement. Other than that it also has an outdated USB 2.0 port, heats up quite fast, and a sharp front lip which is some of its biggest drawbacks. Buying the HP Stream really is just a matter of taste. Sure you have an above-par laptop for a borderline $200 price tag, but you also have to live with some of its issues. If you got kids, they will surely love this one. Until a couple of years ago, Lenovo was considered the world’s largest PC maker. They are known to make affordable quality products across all PC segments. 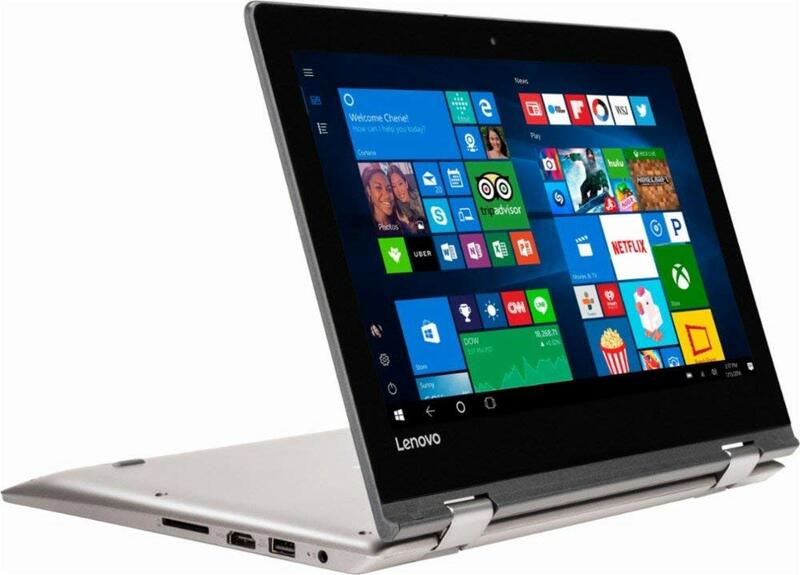 One such example is the Lenovo Ideapad 120 S which comes in two screen variants- an 11-inch and 14-inch. The first thing you will notice about the Ideapad 120S is its premium look with its smooth screen finish and sleek design. It runs on an Intel Celeron Dual-core N3350 processor with 1.1 GHz output and has 2 GB RAM which is enough to let you multitask when more than one application is open. Battery life is also acceptable at 8 hours straight. Another nifty feature is the Type-C port which is compatible with most charging devices. The Ideapad 120S screen has a 1366×768 resolution with anti-glare technology. The keypad and trackpad are also wonderful and very responsive. It’s got your basic connectivity ports such as HDMI, USB 3.0, card reader, Bluetooth and the latest in Wifi connectivity. Both variants are also very portable, easy to store and weighs about 3 pounds. However, the Ideapad 120S also has a fair bit of issues. With only 32GB of storage space to work with, it limits the number of applications and files you can save in the laptop. A 2 GB RAM isn’t also cutting it when you are running demanding programs such as video editing tools like Adobe Photoshop. Hence, you are stuck in doing only the most basic computing task. This laptop also isn’t for gaming as it lacks the hardware to support many of the latest video game titles. You can run flash games and other low-resolution games from a decade ago, but that’s about it. The webcam’s resolution and the sound quality from its built-in speakers leave much to be desired. There is a saying that you usually get what you paid for. Same could be said with the Lenovo IdeaPad 120S. It has great value, looks stunning, and just does whatever a basic laptop could do. If you just want a laptop for writing or watching movies in your spare time, then this laptop fits the role. You may know Samsung as the mobile phone giant that it is. However, the Korean manufacturer also has their own line of affordable laptops one of which is their version of a Chromebook. We’ve talked about how these Google-powered laptops are particularly well suited for grade schoolers. The Samsung Chromebook 3 also functions as such, although even better. Even though it’s made of plastic, the Chromebook 3’s build quality is surprisingly good. The “metallic black” frame looks classy especially when paired with an a11.6-inch screen with 1366×768 resolution. The 259 nits display is much brighter than most of its competitors and is perhaps its best characteristic. Doing all the tough work is a 1.6 GHz Intel Celeron processor and a 4GB RAM. It also has a 32GB hard drive which is pretty standard in this segment. The Intel HD Graphics 400 is also quite capable of running 2D games, and some 3D titles. Audio is also decent and loud enough to be heard across a small room. Battery life is also much longer at 10 hours. Furthermore, it has one of the best webcams in the class which has a 720-pixel resolution which is great for video chatting or taking selfies. It also doesn’t heat as fast and has a decent temperature cap of 95-degree Fahrenheit. With all of the perks of the Samsung Chromebook 3, it’s hard to believe that it’s an under $200 laptop. However, it also has several drawbacks that come along with its build. First off, it’s limited by its Chrome OS. The bottom of the laptop also warms up although not to the point that it can be uncomfortable. The speaker’s quality is also a bit muddy. Some of the key placement is also quite troublesome particularly the backspace which sits below the power key. As such, you may accidentally shut down the laptop with one wrong keystroke. 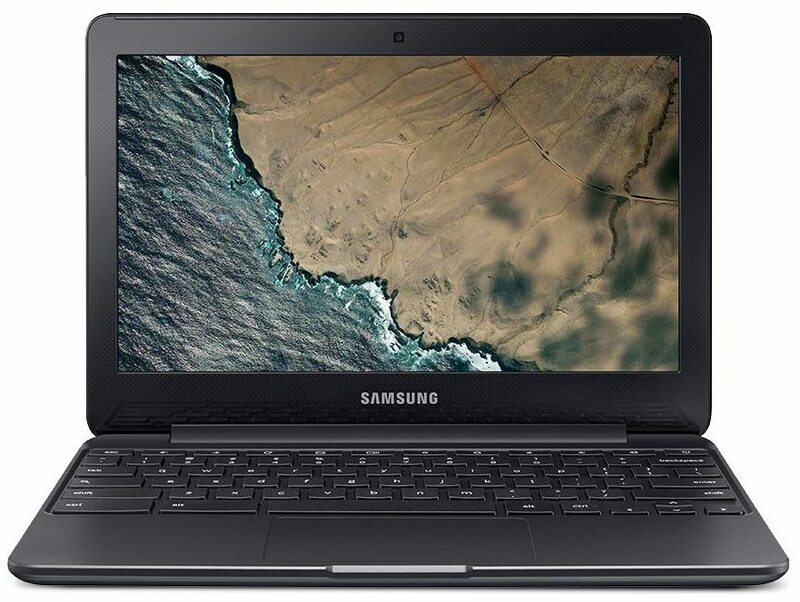 Overall, the Samsung Chromebook 3 is one of the best options you have for a low-cost laptop. With crisp display, decent computing performance and a stylish look, it definitely is worth your hard earned money. Whether you’re buying this for you or your kid, it’s definitely a great bargain. Owning a laptop doesn’t have to mean you are emptying your purse or pocket. There are inexpensive yet still quality alternatives in the market that can satisfy your needs or of the person you are giving it to. It’s even astonishing to know that there are many laptops in the under $300 territory that does more than what to be expected of a low-cost laptop in terms of its performance, features and overall reliability. In a world where almost everyone needs to own a laptop, what is important is not necessarily to have the top-of-the-line products. Often, just a basic laptop is enough to carry out tasks related to school, work, or for your entertainment. It’s important to note that the manufacturers of these affordable laptops tend to cut cost to keep the unit’s price low. As such, they have to sacrifice the quality and performance of one or two of the laptop’s hardware components. It could have a lower tiered processor, smaller resolution, less storage space or other minor drawbacks. Thus, it’s imperative beforehand to know your purpose of purchasing the laptop. If you want it primarily for viewing movies and streaming videos, you may want to go with one with a larger screen. On the other hand, if it’s going to be used for work you may want something that has faster processing speed and better RAM. When choosing among these laptops we advise you to focus on one or two components only. Then, consider if you can settle with less of the other features.